Are you looking for an experience in Sri Lanka which is one of a kind and different from the regular old ways of travelling? Do you want to truly experience the beauty and authenticity of this classy island nation? Then there is no better way than to drive your way through in Sri Lanka. This is the best way of going off grid and exploring the place on your own during your visit to Sri Lanka. You should also expect lot of disorder while driving in Sri Lanka and also blaring vehicle horns that toot from every direction. Nightmarish slow moving traffic jams during office and school opening and closing times in cities like Colombo, Kandy, Dehiwala and Katunayake Airport road is a certainty and very poor and narrow roads and streets in rural Sri Lanka is the norm! Some foreigners and expats are known to tell others about their driving in Sri Lanka saying you can drive really slow on the fast lanes of Colombo like nowhere else in the world and at times park where ever they want and whenever you please, even next to a no parking sign! Sometimes you will encounter drivers on the roads who are audacious enough to reverse on to the main road! You are likely to encounter drives at night without lights or drive with 6 sets of headlamps and cyclist in Sri Lanka don’t wear bicycle safety helmets. However you will find out if you go to Sri Lanka that motorcycle helmets are mandatory and very strictly enforced by the Police. All these coupled with driving in very traffic-clogged, poor maintained and mostly narrow Sri Lankan roads and even highways can be a very enjoyable or adventurous at times for some but a nightmare for most if you don’t know what about driving in this island country. But before you take the wheel and try to rent or borrow a car or vehicle and drive in Sri Lanka you must have your driving license from your country of origin or an international driving license. 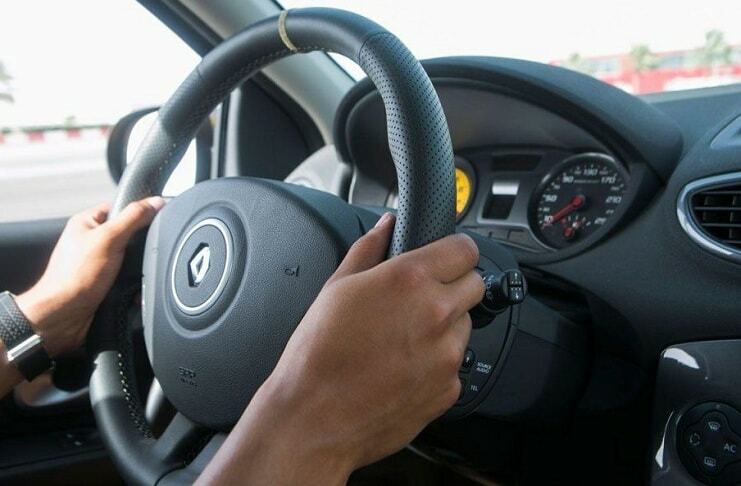 Sri Lanka News Online is informed that Foreign driving license holding tourist and expatriates who wish to convert their license to a Sri Lankan driving license are advised to first contact the Deputy Commissioner of Motor Traffic Department in Sri Lanka. Most road sign in Sri Lanka are international standard signs but it’s best to get a road sign booklet and refresh your memory. In many parts of this beautiful island country the speed limit is 40kmph, 60kmph and 72 km/h per hour. (that’s right, don’t expect to drive more than 72 km/h not 172km/h)! The International Driving Permit (IDP) maybe your passport to driving overseas and is recognized worldwide including in Sri Lanka as a valuable document identifying motorists as legally-licensed drivers. However this IDP may prevent or be an inconvenience when renting a car or when driving in a foreign country like Sri Lanka where English is not commonly spoken and understood. So as mentioned above contact your tourist or foreign agency or ticketing agent and make these arrangements if you plan to do lot of driving in Sri Lanka. The authorities may require you to present one of several documents to obtain driving permit or license to take the wheel in Sri Lankan roads.